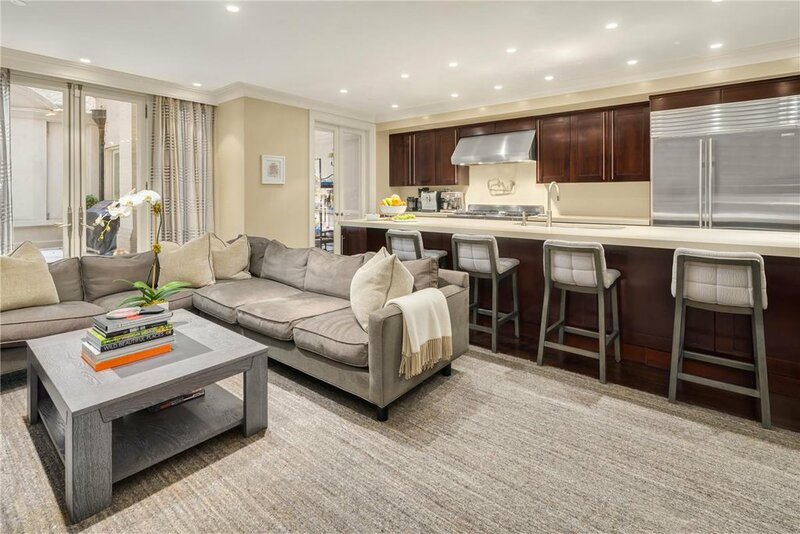 Perfectly located on a premiere Park block between Fifth and Madison Avenue, this palatial 24-foot wide limestone townhome has undergone a complete and custom renovation. 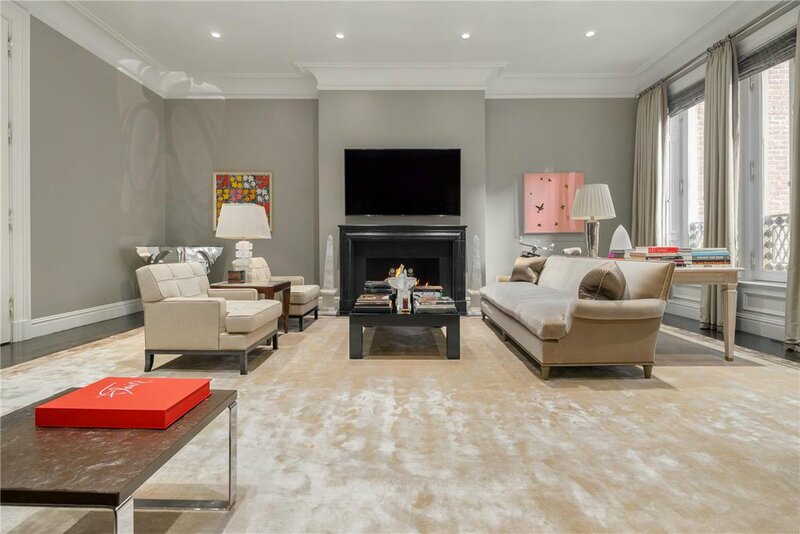 Originally built in 1915, 22 East 67th Street offers approximately 13,300 square feet of interior space, 2,200 square feet of exterior space and features soaring ceilings, large-scale rooms and beautiful light. 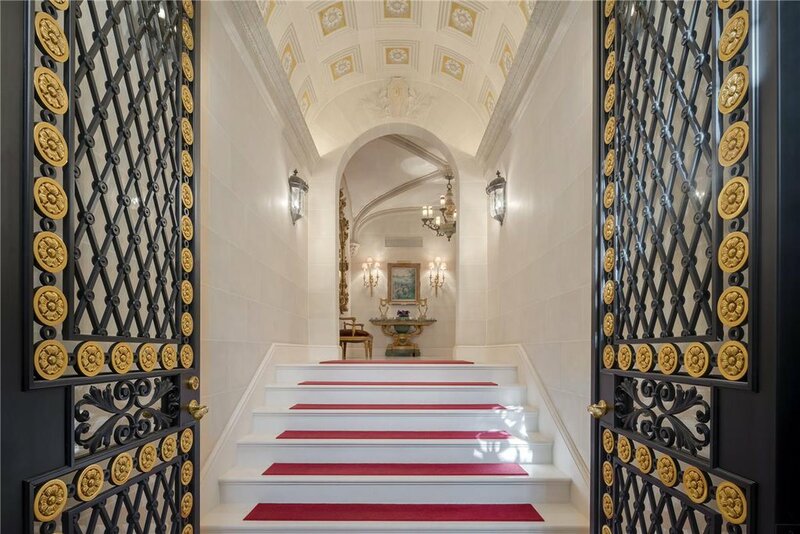 A set of double paneled oak front doors lead into an impressive entry vestibule that ascends into a sprawling limestone reception gallery with almost 13-foot ceilings and a grand sweeping staircase. 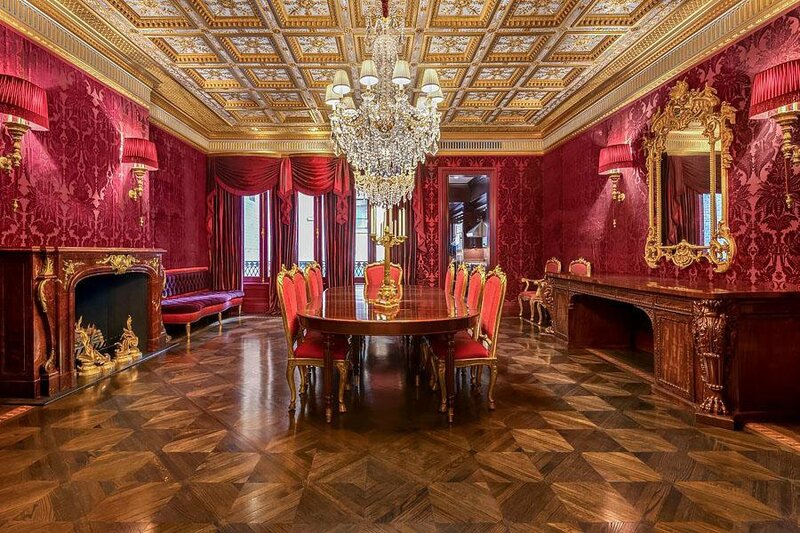 Beyond, a formal dining room measuring 25-feet long features a south-facing terrace, an intricate gilt-coffered ceiling, massive wood-burning fireplace with marble and gilt surround and a full butler's kitchen. A paneled library with wood-burning fireplace and powder room complete the floor.Downstairs, the Garden Floor, with separate gated entrance from the outside, boasts an eat-in kitchen with the highest quality appliances, oversized island with countertop seating, breakfast banquette and fireplace as well as an adjoining sunroom and south-facing outdoor patio. Additionally, there is a home office or staff room with full bath, powder room and a separate service entrance with 'mudroom'. 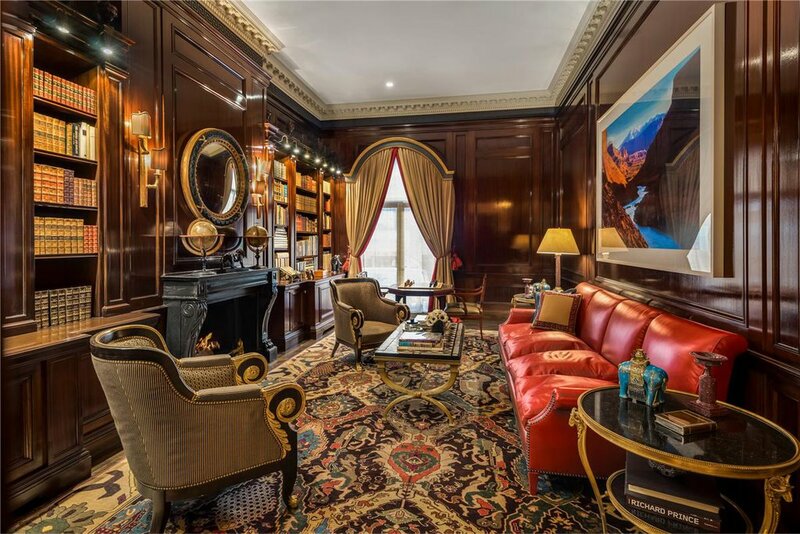 The home's magnificent scale continues to the Third Floor, with almost 12-foot ceilings and an extra-wide landing that leads into a gorgeous formal living room with stunningly detailed molding and a wood-burning fireplace. 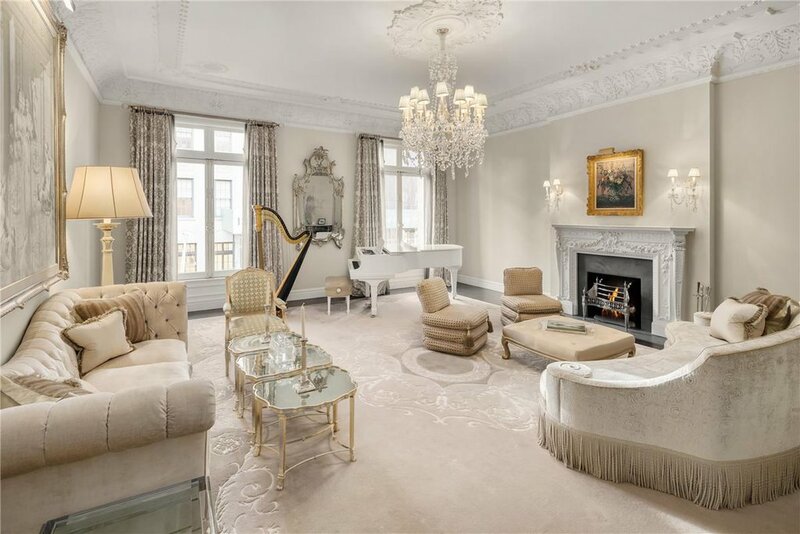 Across the landing is an equally impressive media room with fireplace and adjoining kitchenette. 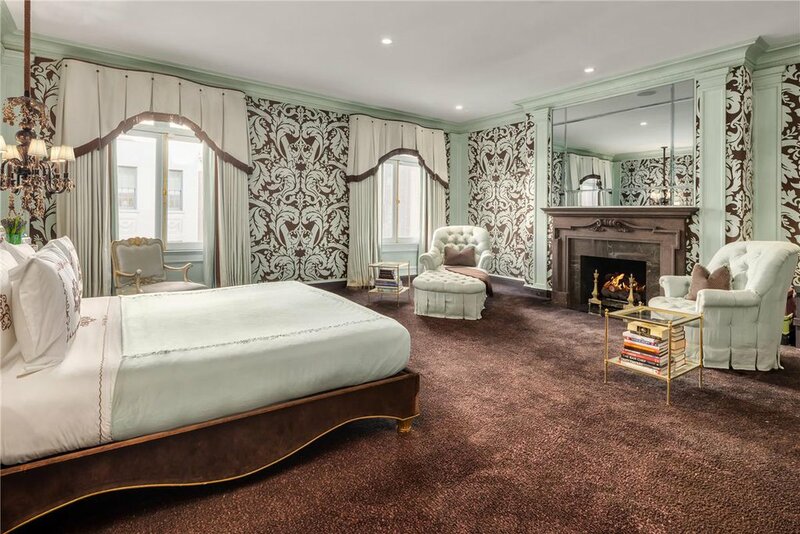 Occupying the entire Fourth Floor, the sumptuous master bedroom suite spans the complete width of the home and features a wood-burning fireplace, adjoining walk-in closet, separate powder room and a marble and mahogany paneled bathroom with jet-tub and steam shower. 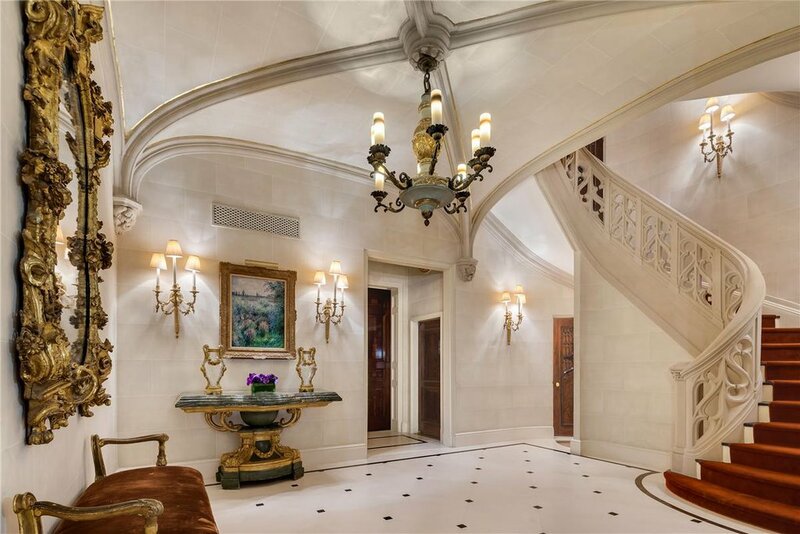 Connecting through to the bath is an opulent 400 square foot dressing room with fireplace, center island and south-facing terrace. A secondary windowed master bath with oversized jet tub completes this unique dressing space. 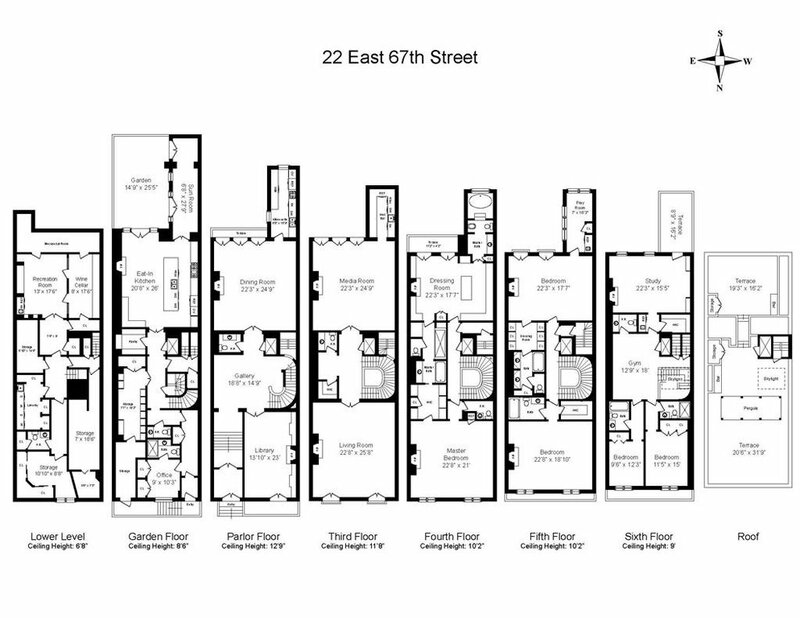 The Fifth Floor offers two oversized bedrooms (one with adjoining sitting area/home office), each with en-suite bathroom, dressing room or walk-in closet and fireplace. 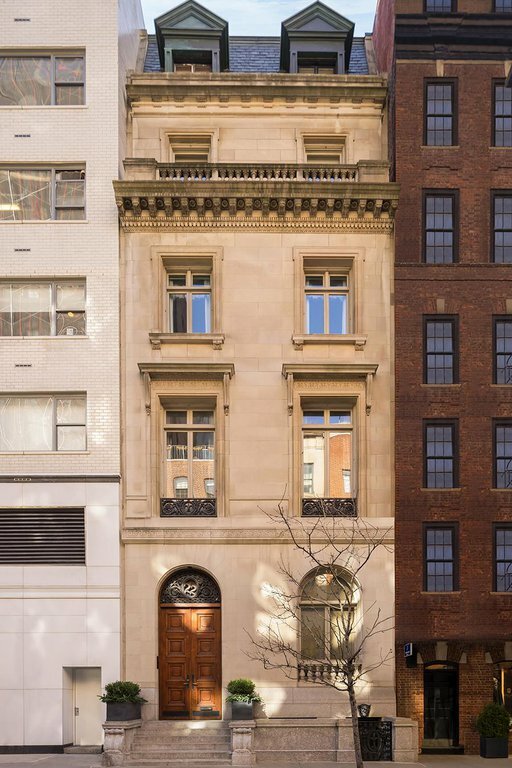 The sky-lit Sixth Floor is comprised of a home gym with powder room, south-facing study with fireplace, wet bar and adjoining terrace as well as two guest bedrooms with en-suite bathrooms. 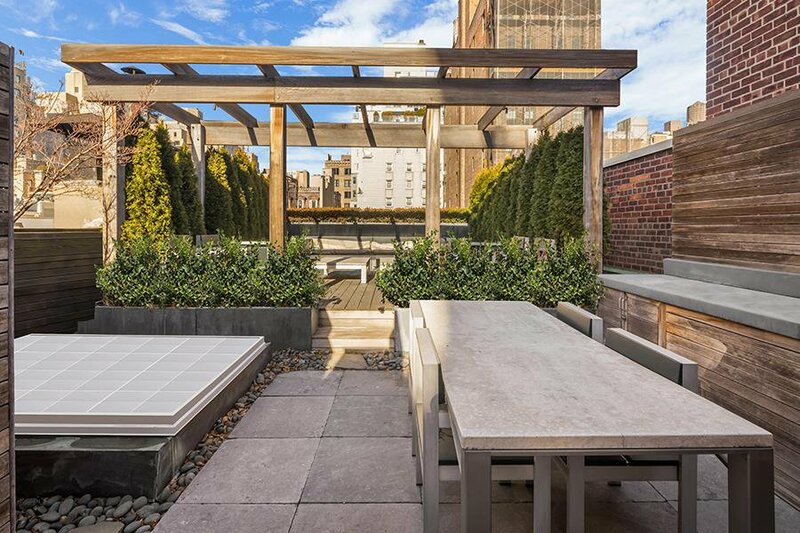 The planted rooftop terrace is complete with elevator entry as well as two lounge areas (one with protective pergola), each with separate wet bar. 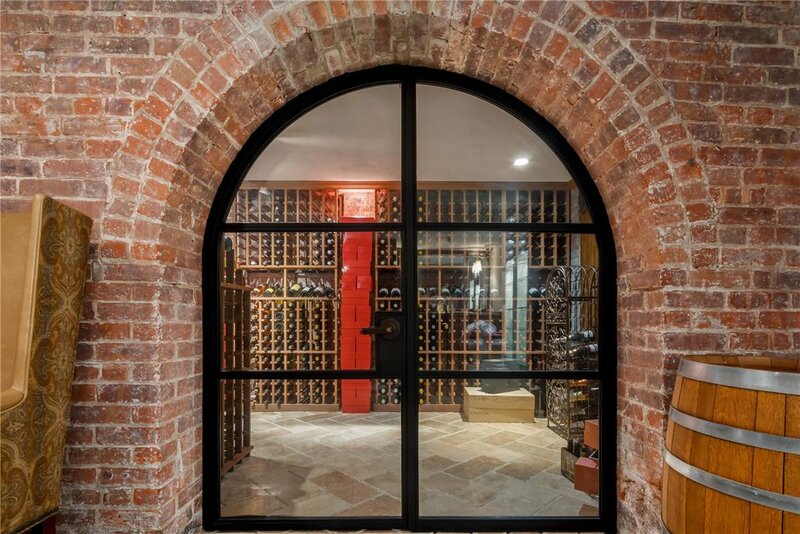 The home's fully finished basement is complete with a state-of-the-art wine cellar with adjoining tasting room, full laundry room with double washer and dryer, powder room, as well as plentiful storage and mechanicals. Other notable features of this one of a kind home include an elevator and separate staff stairway that service all seven floors plus the rooftop as well as complete home automation, surveillance & security systems. Co-Exclusive with The Modlin Group.